– Nominal consumption – 200 Amp. – Efficiency – 93% . This engine is notable for its high performance in its working point, which makes it ideal for exploiting the power supplied by the group of batteries, minimizing weight and optimizing the binomial space and range. Furthermore it can be adapted to the necessary interfaces regarding power transmission and frame anchorage. 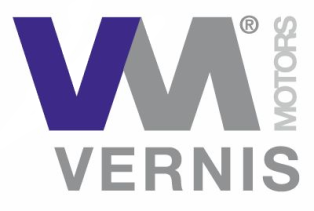 Vernis Motors offers a complete kit composed with Hall sensors and the associated electronics for the motor control, including electrical and temperature protection to provide a secure, reliable and robust system..
Motors for multiple applications: pumps for fluid transfer, ventilation, electric vehicles, etc…. 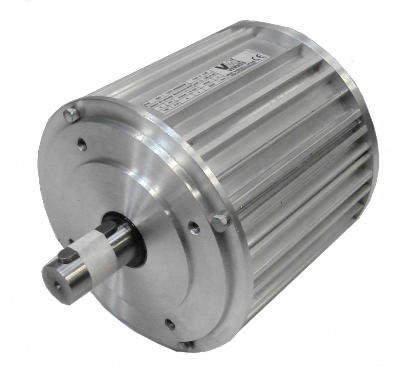 Vernis Motors completes its range of brushless motors for various applications such as: pumps for fluid transfer, ventilation, electric vehicles, etc.. 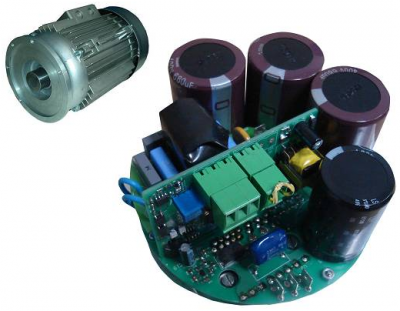 These motors are characterized for their high efficiency; reaching a 95% performance in the operating period and it can be supplied with associated electronic control and optimized for each power range. The control can be integrated in the motor or supplied separately according to the application and customer needs. A highlight must be made for the level of protection provided by the electronics control in terms of temperatures and work currents, which gives the product high reliability and robustness. Hall sensors are integrated in the applications that require them. The operating voltage in this range of motors goes from 12 to 288VDC and 110-400VAC with powers up to 35 kW. Committed to the environment, Vernis Motors has developed brushless motors with electronic control that achieve IE4 efficiency levels. 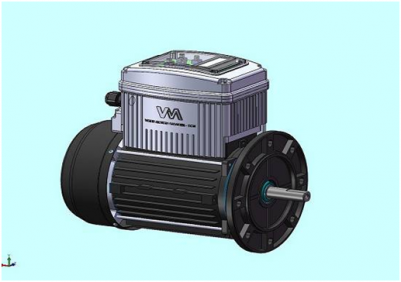 Some typical applications for these motors are ventilation, pumps and industrial machinery. As standard specifications, we can highlight the 230V single phase voltage supply; output power up to 2.2 kW; IP 55 protection; and thermal class 155 ° C. It has a constructive design: B3, B14, B5 or according to customer needs; IEC standard shaft or according to customer needs. Integrated inside the motor for cooling applications with extruded housing. Connection box incorporating display and keyboard to control the bike. A distance for those applications in which the control location of the engine does not allow this.